Cranial Electrotherapy Stimulation, which has been in use around the world since the early 1950s is an FDA recognized treatment of anxiety, depression and insomnia. Many patients and their physicians have also discovered that it is a very effective treatment for pain. 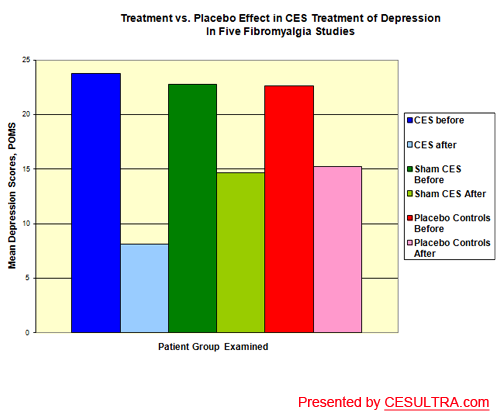 It has been theorized that CES is effective in pain treatment because it is known to relieve stress, and stress is known to be a strong correlate of the perception of pain in pain patients. Recently it has been shown that pain is also a frequent accompaniment of depression, which CES is known to treat very effectively. In one study more than 75% of patients being treated for depression reported experiencing chronic, or recurring pain, and 30% to 60% of pain patients studied, also reported significant depression. 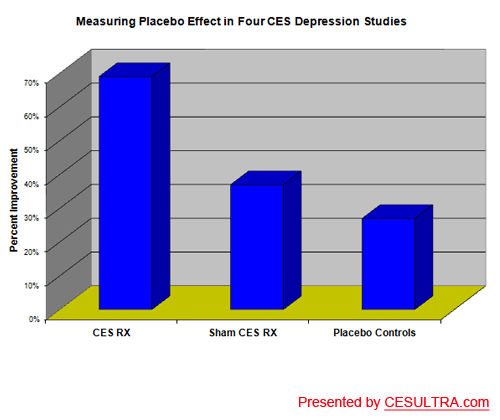 This entry was posted in Chronic Pain, Depression and tagged ces therapy, ces ultra, cesultra, Chronic Pain, cranial electrical stimulation, cranial electrotherapy stimulation, depression, relieve stress, treatment pain on July 30, 2016 by cesadmin. The primary duty to patients should be to “do no harm”. Avoiding harm typically results in an approach that follows a spectrum of interventions beginning with treatments that pose the least risk of adverse side effects. The harm reduction approach increases the likelihood patients will benefit without being exposed to unnecessary risks of harm. 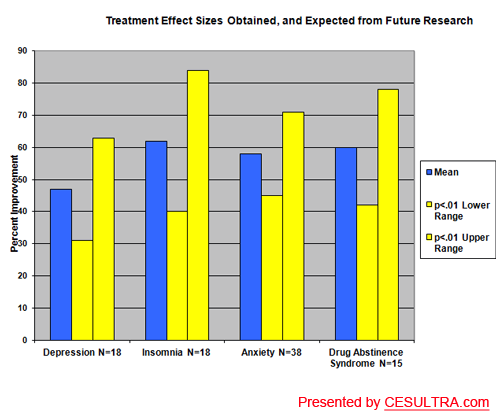 CES should be included in the spectrum of available treatments as it poses very low risk of harm to patients. 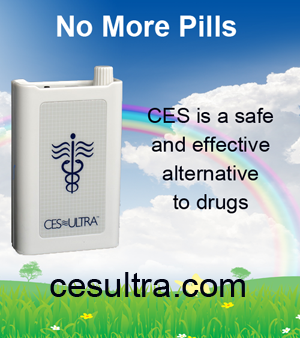 The FDA has expressed concern as to utilization of CES without first employing more “conventional” treatments. Unfortunately, the more conventional treatments at times are not only ineffective but also in many circumstances contribute to a worsening of the condition or result in deleterious side effects. This can result in necessary therapeutic alliance adversely impacted. Frequently, patients will mention the advertisements they see on television by various attorneys soliciting patients who have been harmed by approved medications, ECT or other treatments. They are worried about being harmed by prescribed treatments and become suspicious of their health care professionals. There is excellent data and clinical experience however to support the safety and lack of adverse side effects from CES and it should be included in the spectrum of available treatments as it poses very low risk of harm to patients. Excerpts from “A View from the Trenches” written by Jason Worchel, M.D. This entry was posted in Aging, Alternative Health, Anxiety, CES Research, Depression, Insomnia, PTSD, Relaxation, Sleep Problems, Stress and tagged alternative health, alternative medicine, ces therapy, ces ultra, cesultra, cranial electrical stimulation, cranial electrotherapy stimulation, drug alternative, non-drug treatment, Psychiatry on July 27, 2016 by cesadmin. You will be amazed with what you can do with the common household items you already have! Take charge of your health today—Do it yourself, do it at home, do it naturally!! CINNAMON & GINGER IN MILK WHEN A COLD HAS JUST BEGUN: This is a great treatment for use at the onset of a cold. Scald ½ cup milk. Add ½ teaspoon of cinnamon, ½ teaspoon ginger, and 1 tablespoon honey. This will soothe the symptoms while stimulating healing. HEATED LEMONADE WITH HONEY FOR COLDS/FLU WITH FEVER: This is great when a cold is accompanied by a fever. Make a glass of lemonade, heat it (to coffee temperature), and sweeten with honey to taste. This will relieve discomfort and help you to relax. RICE TEA FOR VOMITING AND DIARRHEA: This is excellent remedy to help alleviate vomiting and diarrhea. It tastes great, is nutritious, and really soothes the digestive system. To make, simmer ½ cup of rice in approximately 1 ½ quarts of water for fifteen minutes. Flavor to taste with vanilla and sugar. You can sprinkle with a bit of cinnamon for added flavor. LEMON JUICE FOR CONGESTION: Lemon juice can be added to herbal teas to help combat congestion. Lemon juice adds Vitamin C to the diet and is an astringent that helps to cut through mucous and congestion. ASPARAGUS FOR BRONCHITIS AND CHRONIC BRONCHIAL PROBLEMS: This is a great aid for bronchitis and chronic bronchial problems. Liquefy a can of asparagus in the blender. Refrigerate. Drink ¼ cup upon rising and before bed. Water can be added to taste, and the drink can be heated and consumed as a hot drink if preferred. THYME COUGH SYRUP: Add 1 ounce of dried thyme to 1 pint of boiling water. Cool. Strain. Add 1 cup honey. Place in a jar and shake well to mix. Store it in the refrigerator. The suggested dosage is 1 tablespoon several times a day. This is great for sore throats, colds and coughing. ONION AND HONEY FOR ASTHMA: This needs to be made fresh daily. Thinly slice one onion, place in a bowl and cover with honey. Let it sit overnight. Scrape the honey off the onion the next day. The recommended amount to take is 1 teaspoon 3-4 times per day. SALT WATER NASAL RINSE: This is great for congestion accompanying colds, flu, allergies, and hay fever. Add ½ teaspoon baking soda or salt to 1 cup of warm, filtered water. Pour into a neti pot, a creamer with a long spout, or an eyedropper. To administer the rinse, turn your head to one side. Lower it over the sink. Keep your forehead slightly higher than your chin. Gently pour the solution into the uppermost nostril, allowing the solution to drain out the lower nostril. (A bit may run down your throat, if this happens you can spit it out.) This will flush out allergens and bacteria while helping to thin the mucus so it will be easier to expel. VITAMIN C DROPS FOR CHRONIC SINUS INFECTIONS: This is made by dissolving a 500 mg vitamin C tablet in 1 cup of warm water. Use an eye dropper and apply ½ dropper full in each nostril 2 times per day. GARLIC OIL CAPSULES AS AN ANTIBIOTIC: My family uses 3,000 mg three times per day for a week, in place of an antibiotic with huge success. OATMEAL FOR VOMITING: This usually settles the stomach quickly. Using a broiler toast 5 tablespoons of oatmeal. Pour 1 pint of boiling water over the oatmeal, making a thin gruel. Add cinnamon and sugar to taste. Drink until vomiting stops. LEMON JUICE FOR HEARTBURN: Warm ½ cup of water and add 2 teaspoons of lemon juice. Sip, should relieve heartburn. SAGE AND GINGER FOR COLD SORES: Boil 1 cup of water. Add 1 teaspoon of dried sage. Steep 15 minutes. Strain. 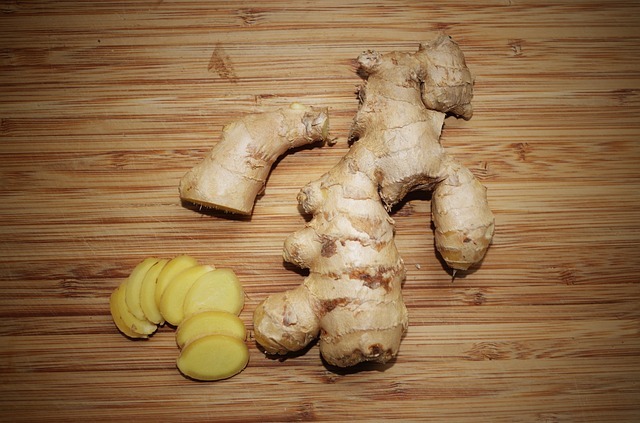 Add 1 teaspoon powdered ginger and honey to sweeten. Drink three cups of this throughout the day. Usually brings relief within 24 hours. APPLE CIDER VINEGAR FOR HEAD COLDS OR MIGRAINES: Mix together a half cup of apple cider vinegar and a half cup of water. Boil and inhale the fumes. VINEGAR AND HONEY FOR COLDS AND SORE THROATS: Mix together 1 cup of honey and 2 cups of apple cider vinegar. Drink a wineglass of this three times per day. BRANDY AND BROWN SUGAR FOR SORE THROAT: Mix ½ cup brown sugar and ½ cup brandy. Mix well and sip as needed for sore throat. CAYENNE PEPPER FOR COLDS AND SORE THROATS: This remedy will ward off sore throats and colds, and if you already have a cold or sore throat will drastically reduce the length of the illness. Boil 1 cup of water and add 1 teaspoon of cayenne pepper. Drink this mixture three times a day. SAGE AND CAYENNE SORE THROAT GARGLE: Boil a pint of water. Pour add one ounce of dried sage and ½ teaspoon of cayenne pepper. Steep overnight. Use as a gargle. LETTUCE TEA FOR INSOMNIA: Lettuce tea is a fast acting sedative. Add 1 cup shredded lettuce to 1 cup boiling water. Steep 30 minutes. Strain and drink before bed. BAY LEAF TEA FOR HYSTERIA: Add 2 bay leaves to 1 cup boiling water. Steep 10 minutes and sweeten with honey. Very relaxing!! PARSLEY AND LEMON JUICE TO PASS KIDNEY STONES: Boil 1 cup of water and add ¼ teaspoon dried parsley. Steep at least 15 minutes. Strain. Add 1 teaspoon lemon juice and 1 tablespoon olive oil. Drink daily for at least a week. Stengler, M. (2010). The Natural Physician’s Healing Therapies: Proven Remedies Medical Doctors Don’t Know. New York: Prentice Hall Press. White, L. &. (2000). The Herbal Drugstore. New York: Rodale Press. Williams, J. (1995). Jude’s Herbal Home Remedies. St. Paul: Llewellyn Publications. This entry was posted in Alternative Health on July 21, 2016 by cesadmin. What distinguishes the CES Ultra™ from other CES units? The CES Ultra™ is the most advanced CES instrument currently available. For those suffering from depression, anxiety, insomnia, and the wide range of symptoms which accompany these and other conditions and disorders. It provides relief with none of the unpleasant side effects of prescription drugs. For those seeking nothing more than a good night’s sleep, it is an alternative to habit–forming tranquilizers. The most significant research on CES is based on the traditional 100Hz. Other units may claim to carry the 100Hz, but do not have an accurate rendition of the configuration on which most of the research is based. There are also certain “underground” instruments on the market which have no scientific evidence behind them. Many are simply low–cost pulse generators, and have not been fully evaluated for either efficiency or safety. They are not registered with the FDA and do not have permission from the FDA to present themselves as “medical devices” or make any medical claims. This entry was posted in CES Ultra device, What they tell about CES Ultra on July 16, 2016 by cesadmin. 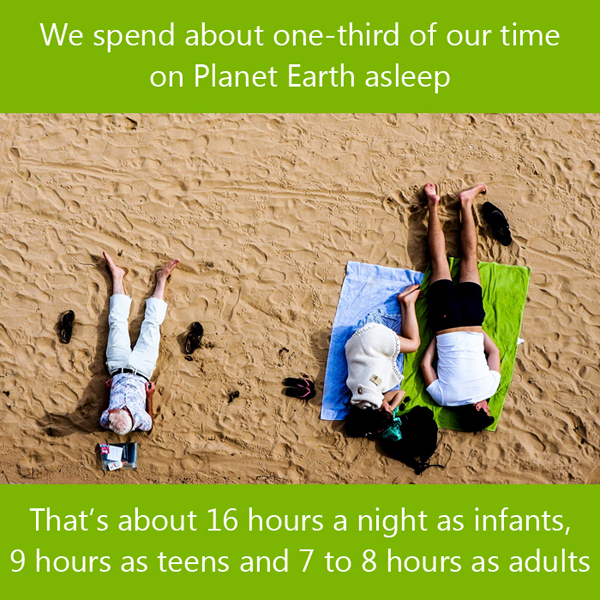 We spend about one-third of our time on Planet Earth asleep. That’s about 16 hours a night as infants, 9 hours as teens and 7 to 8 hours as adults. This entry was posted in CES memes on July 4, 2016 by cesadmin.